On Tuesday this week we were very privileged to once again be invited by the Bishop of Winchester to sing at his tea party for retired clergy. It was a beautiful sunny day and the children sang in the shade of a tree in the beautiful gardens at Wolvesey. 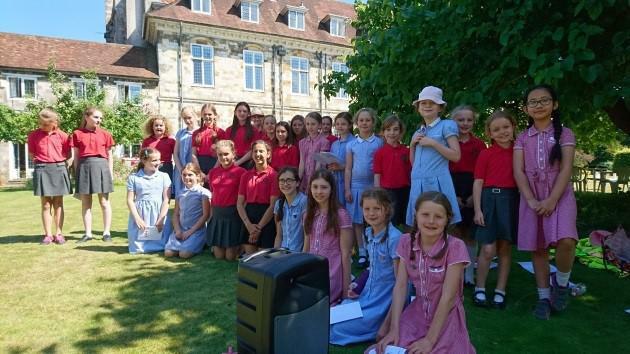 The children, who have enjoyed performing at a number of special events this year, were wonderful ambassadors for the school and a credit to their families. Thank you to all our Year 6 choir members who have contributed so much to the school during their time with us. Many thanks must also go to Miss Scotland and Mrs Selman for preparing the children for this event.